The railroad company netted $497 million in profits or $1.71 per share, easily surpassing the Bloomberg News consensus analyst forecast of $475 million or $1.64. One year ago, the figures were $405 million, or $1.36 per share. Revenue rose 6% to $2.6 billion. Operating income from railway operations was $888 million, up from $770 million one year ago. In the first round of earnings, CSX’s profits grew 15%, Canadian Pacific Railway surged 46% and Union Pacific’s rose 19%. In the second round, Kansas City Southern profits went up 12% and Canadian National Railway increased 20%. Like other rail freight carriers, the resurgence in coal transportation stimulated growth in revenue and profits. “Norfolk Southern’s strong financial results and all-time record operating ratio reflect the power of our team, successful execution of our dynamic plan and focus on operating even more efficiently while providing high-quality service to customers,” Norfolk Southern Chairman and CEO James Squires said. Coal revenue jumped 32% to $447 million, carloads increased 27% to 266,100 and revenue per carload went up 4% to $1,679. Intermodal business rose 10% to $593 million, carloads were up 6% to 1 million and revenue per load was $587 versus $565 one year ago. Metal and construction-related transportation grew 11% to $371 million on 5% increases in carloads and revenue per carload. Strong performances in the three industries were more than enough to offset flat to slight declines in the transportation of chemicals, agricultural, automotive, paper, clay, forest and merchandise products. 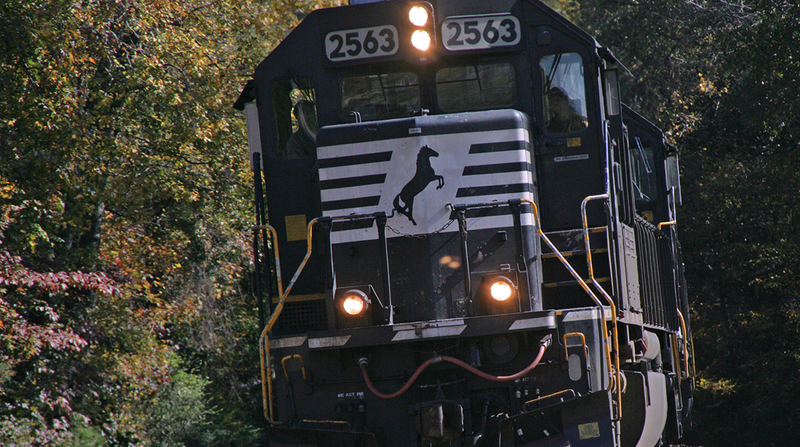 Norfolk Southern’s operating ratio improved 230 basis points to 66.3%, an all-time record. In the first half of 2017, revenue was up 6.9% to $5.2 billion, profits jumped 17% to $930 million, or $1.22 per share, and the operating ratio was 130 basis points better at 68.1%.